Dateline: Lima, Peru. 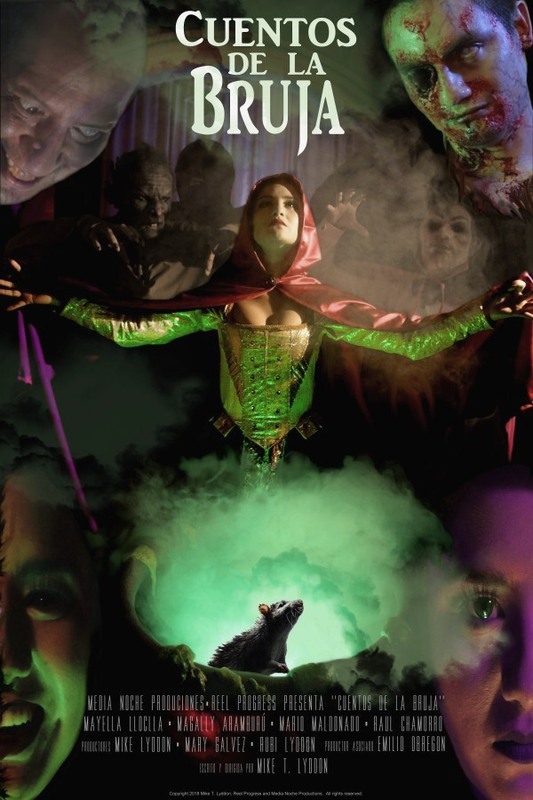 Principal photography has wrapped on the forthcoming feature length horror anthology movie by Mike T. Lyddon, WITCH TALES aka CUENTOS DE LA BRUJA (2019), starring Mayella Lloclla. Post production is already underway for the spanish version CUENTOS DE LA BRUJA, with an anticipated sneak peek of the film in Lima at the end of October, 2018. See the PRESS page for more info. Poster art copyright 2018 by Mike Lyddon / Reel Progress LLC. All rights reserved. FIRST MAN ON MARS on VOD NOW! Horror Anthologies worth your time!